Made in Canada. It’s the label we’ve proudly attached to our reels since we started out way back in 1990. By maintaining control over every step of our production process we offer a level of craftsmanship that can’t be matched by a job shop overseas. It can’t be matched because our employees care—passionately—about the reels they produce. 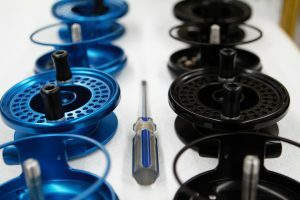 They’re not just another part to get made, the reels are the legacy they get to leave. 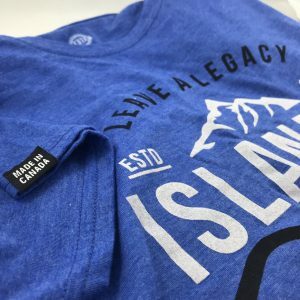 This summer, we turned our attention to our clothing line and to see if it was possible to find a manufacturer that took the same approach to their work. In the end, we partnered with a firm in Toronto who take their dedication to Canadian manufacturing to the next level. 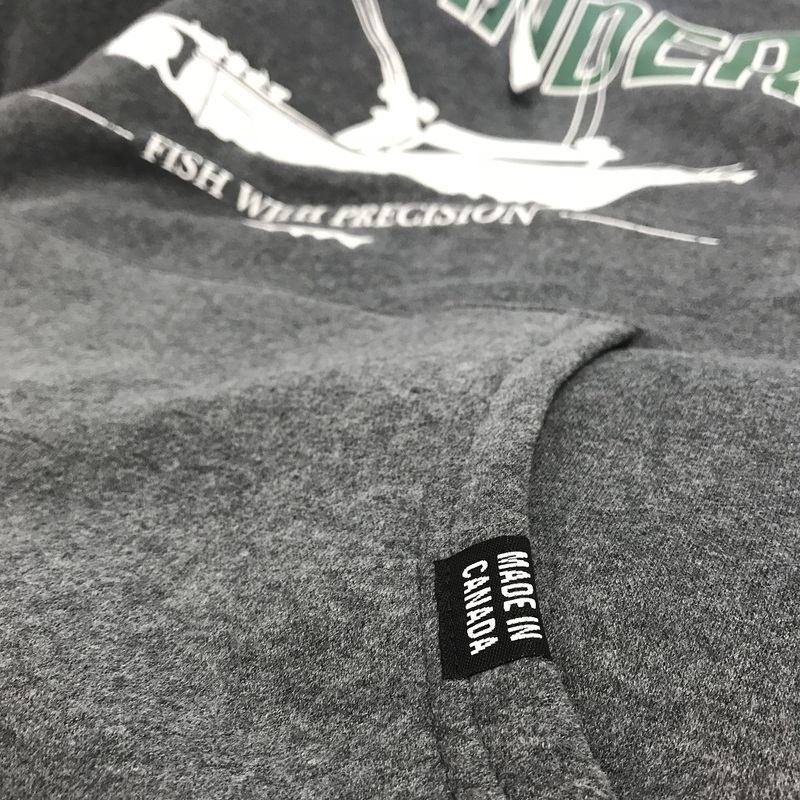 The result is a line of hoodies and t-shirts where everything from the dye, to the thread, to the fabric, to the clothes themselves is created right here on Canadian soil. The pride they take in their work is reflected in the quality of the clothing they produce and we couldn’t be happier with the results. At the end of the day, we live in an interconnected global economy… Heck, we sell our own reels around the world. However, when you can find opportunities to partner with firms who share your values and approach to quality right in your own backyard, it only makes sense to work together. Check out the full line-up in our apparel section. There are men’s and women’s t-shirts as well as hoodies and long-sleeve shirts. Don’t forget to enter and vote in the #WhereToWearIslander contest on Facebook and Instagram. Just use the hashtag then VOTE for the best photos on Facebook to WIN. Salmon Fishing in Wisconsin? You bet! Read the latest news from Islander, our Field Team, and the fishing community at large. canucklehead73 on The Great Ontario Salmon Derby is On!